The lawsuits were borne out of the deep frustration, anger and longing of veterans and families to seek recognition and justice. The US Congress failed to deliver justice and so people have the right to seek the power of the courts to tell Congress to do its job.” That was the response sent by three veterans groups to this writer’s blog last Nov. 17 that discussed the repercussions of lawsuits filed by Filipino World War II veterans, their widows and supporters on Capitol Hill. The rejoinder bore the names of Dolly Castillo, Coordinator of the Filipino-American WWII Veterans’ Widows of Washington in Seattle, WA; Maria Galang, President of the Association of Widows, Advocates and Relatives for Equality (AWARE) in San Francisco, CA; and Jovy Alejandrino, Vice President of the Senior Pilipino-Americans for Community Empowerment (SPACE) in Los Angeles, CA. That was the response sent by three veterans groups to this writer’s blog last Nov. 17 that discussed the repercussions of lawsuits filed by Filipino World War II veterans, their widows and supporters on Capitol Hill. The rejoinder bore the names of Dolly Castillo, Coordinator of the Filipino-American WWII Veterans’ Widows of Washington in Seattle, WA; Maria Galang, President of the Association of Widows, Advocates and Relatives for Equality (AWARE) in San Francisco, CA; and Jovy Alejandrino, Vice President of the Senior Pilipino-Americans for Community Empowerment (SPACE) in Los Angeles, CA. In our blog, we reported how some key supporters on Capitol Hill, principally Hawaii Senator Daniel Inouye, chairman of the influential appropriations committee, were hurt by the lawsuits that appeared to criticize shortcomings in the Filipino Veterans Equity Compensation (FVEC) bill which provided a single lump-sum payment for surviving veterans here and in the Philippines. When we learned about that (from two separate sources), we asked Jon Melegrito, co-chair of the National Alliance for Filipino Veterans Equity (NAFVE) and communications director of the National Federation of Filipino-American Associations (NaFFAA), whether he too heard about the lawmakers’ sentiments. There were two lawsuits filed in California last month, he explained. Melegrito said they supported the suits – principally that filed by San Francisco lawyer Lou Tancinco, a tireless presence in Congress during the veterans lobby – as far as they would compel the Department of Veterans Affairs (DVA) to accept evidence other than the so-called Missouri List to establish the eligibility of a veteran for the lump sum (over 7 million has been paid out; after the original 8 million budget was expended with thousands more applications to be processed, Senator Inouye quietly got additional money for the Filipino veterans approved in a rider). According to the DVA, 21,417 applications have been rejected as of October 1, 2010. Hundreds were reportedly turned away because they were not in the Missouri List; some of them joined the lawsuits. The DVA says 2,800 claims were still pending. But Melegrito expressed concern with the 2nd lawsuit that went further by challenging FVEC provisions. “The lawsuits were borne out of the deep frustration, anger and longing of veterans and families to seek recognition and justice. The US Congress failed to deliver justice and so people have the right to seek the power of the courts to tell Congress to do its job. “The FVEC disqualified 21,417 applicants since most of them were not in the 'Missouri List' deemed as 'official' and the only 'legitimate basis' of eligibility. “Most widows were disqualified, too. “But to be more precise, the FVEC was discriminatory, incomplete and unfair. To be “disappointed” over FVEC is an understatement of the sentiment of the Filipino-American community. “Proponents of lawsuits never made any statements against specific legislators. In fact, many veterans and widows agree that before the FVEC, there were many congressional victories on partial benefits because of the support of people like Sen. Inouye and Reps. Filner and Honda. “Lawsuits directly complement the lobby efforts in Congress since any favorable decision of the courts further validates demand for full recognition and adds political pressure to act on full equity with a sense of urgency—now that most veterans are on their twilight years. “The Japanese-American WW II internees sought the power of the courts to advance their right for restitution. They won both in court and in Congress. The Iraq and Afghanistan veterans on the issue of health benefits filed a class lawsuit in court. Why would the Filipino-American veterans not use the same avenue if only to seek justice after 64 years? “No individual lobbyists, leaders or lawyers can arrogate to themselves a social movement of veterans, widows, students and advocates that dates all the way back in 1984 before forming a lobby group in 1987. “Long before Melegrito became lobbyist in Capitol Hill, many veterans and advocates were already lobbying either in Congress or in the communities. “The whole point of seeking full equity is to seek justice not compromise. Non-veteran US legislators upon reaching age 65 deserve full pension for their work and patriotism--without experiencing the trauma of combat, disease and starvation in their lifetime. “Then why would one denies the same benefits to people who shared the same patriotism in defending this great country? “A ‘lobbyist’ to be truly a ‘lobbyist’ must not succumb to “compromise” but instead, articulate, defend and advance the rights of the very people that one seeks to represent and lobby for. “The FVEC abandoned the rights of the deceased veterans as represented by their widows or their children. The law disqualified those who became widows before the enactment of the law, thus depriving families of deceased veterans—many of whom were lobbying for full equity when they were still alive—to claim for benefits. “Groups like the Association of Widows, Advocates and Relatives for Equality (AWARE), were formed in order to defend and advance the rights of legal heirs. This is also the rationale why there is a need for another lawsuit to be filed that will highlight the right of the widows and orphans as separate category, to claim for full benefits in lieu of deceased veterans. The third lawsuit will be filed in Seattle next year in time for the Martin Luther King Day. “The fight for full equity is a fight of all Americans. Just two footnotes: The authors of the widows' statement said they were clarifying their position in honor of Franco Mejia Fernandez, who suffered a stroke after receiving a letter of denial from the DVA. Ironically, he passed away yesterday, Thanksgiving Day. He was 83. 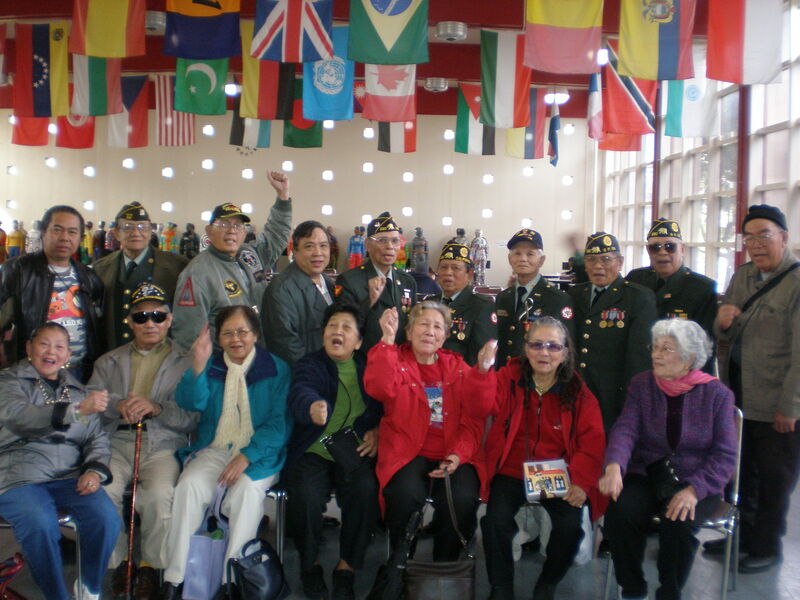 The NaFFAA elected a new set of officers in San Francisco last week, where Melegrito said they vowed to continue supporting comprehensive immigration reform and equity benefits for the spouses and widows of Filipino World War II veterans. “We are grateful to our champions in Congress, like Sen. Daniel Inouye, Sen. Daniel Akaka, and Rep. Bob Filner for securing the long-awaited official recognition of our veterans and the one-time compensation,” said newly-elected NaFFAA chairman Eduardo Navarra. “But their widows, and their sons and daughters, also deserve a measure of justice,” he stressed.